Others give us pictures of who we are and then we dutifully live into their ideas. 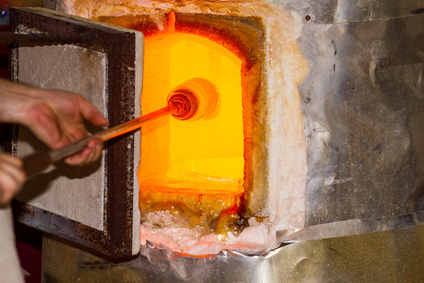 Picture yourself as a piece of molten glass, your form determined by the movement and the pressure of your maker. When your maker is done, you are crystal clear and uniquely shaped. Beautiful to behold and created to contain and display what has been placed within you. Your family values, spoken and unspoken, your God-given temperament and personality determined the shape of your container; but what do you contain? What information have you stored away? What messages have been absorbed into your identity? Who tells you who you are? The feedback we receive about who we are and whether or not we are valued has a large influence on the contents of our container; maybe I should say it has a large influence on how we feel about the contents of our container. Others give us pictures of who we are and then we dutifully live into their ideas. One of my favorite illustrations of this is a story told by Guy Doud, teacher of the year in 1986. He says he didn’t know he was fat until he entered kindergarden. Up until that time, he knew only what his family had told him about himself, he was loved, smart and handsome. In school his classmates told him he was fat, called him chubby and constantly teased him about his weight. These messages were more influential in forming his self-identity than the words he received at home and in church. When he felt bad about always being the last person picked for the kickball team, he would comfort himself with a bowl of ice cream. Told he was fat, he became fat. For those of you who know me personally, you may be surprised to learn that I was a talker when I was in high school, non-stop chatter was my hallmark. (Please forgive what I’m going to say next, remember it was a long time ago in an era much less politically correct than today.) My Sophomore class raised funds for a school trip by having a “slave auction” (I warned you.) When purchased you had to do whatever your “owner” told you to, within reason of course. I was bought by my science teacher, Mr. Greenberg. As his “slave” he put a piece of duct tape over my mouth and made me wear a sandwich board that read “Supermouth is silenced.” This got me a lot of attention. People expected me to talk a lot, when I did I got noticed, so I committed myself to constant blabbering. This pattern continued into college, when two popular girls from my church college group quoted their version of Proverbs 27:15 “A talkative woman is as annoying as the constant dripping of a leaky faucet.” They were going to “help” me squelch my talkativeness by simply saying “drip, drip” whenever they thought I was talking too much. Boy, did this shut me up. The world wanted me silenced. I grew quiet and afraid. God’s voice, speaking of our beauty and belovedness, often gets buried by the influx of images, information and expectations coming at us. But God’s love does not abandon us. God’s inextinguishable spark of life burns within us and by God’s grace burns away all the falsehoods that have entered our souls. This post continue to answer the question Who Am I? which begins here, and is part of a series The New Old which explores six old familiar topics God wants to make new. Join me each Monday for a new installment. I pray our God, the ancient of days, will make a new day for you to enjoy in God’s presence through this series. 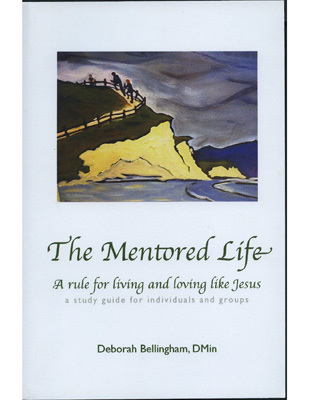 This entry was posted in The NEW OLD and tagged child of God, family influences, God's image, guy doud teacher of the year, identity, self identity, unspoken family rules. Bookmark the permalink. ← Born to be wild? Born to please is more likely. This is really amazing, Debby. Pretty powerful illustrations. I absolutely relate and this post is very freeing. I’m going to spend some time with God thinking about what messages have formed me. I’ve also been working through your book on days when you don’t have new posts. It’s incredible and I’m grateful to have it. God continually pours himself through your words. Thank you so much! Reading your post over again, I’m struck by the sentence, “The world wanted me silenced.” And how much we need to hear what you have to say. Please keep talking, Debby. Amen Sistah Alisha! I’d like to use some politically incorrect words about those so called Christian friends. You just keep on talkin’, Deb. We love what you (and God) have to say! Thanks, Karen. I appreciate you and your kind words of encouragement. It is evident you contain great gifts of the Spirit. Thanks for sharing your light.